Obituary for Mrs. Annie Lucile (Stroud) Reed | Lester Lackey & Sons Funeral Home Inc.
Mrs. Annie L. Reed, age 85, of Covington, Georgia entered eternal rest on April, 15, 2019. Funeral Service will be held Saturday, April 20, 2019, at 12:00 Noon at Richards Chapel United Methodist Church, 426 Richards Chapel Road Covington, Georgia 30016, Rev. Robert L. Melson, Sr., Pastor, Eulogist, assisted by others. Interment, Church Cemetery. 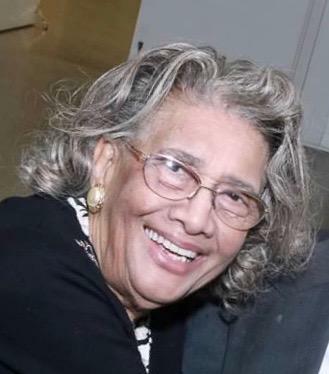 She leaves to cherish her memory, a loving and faithful husband, James E. Reed, Sr.; children, Linda Jefferson, Rosemary Reed, James Reed, Jr. (Annie), Reverend Donald K. Reed, Sr. (Natalie), Cheryl Rankins, and Stephanie Reed; sixteen grandchildren, four great-grandchildren and a host of other wonderful family and friends. The remains will lie in-state at the church from 10:30 A.M. until the hour of service. Family and friends will assemble at the family’s residence at 11:00 A.M. No Public Viewing, Register Book Signing from 4:00 P.M. – 6:30 P.M. "A Service of Dignity, A Trademark of Excellence"